One of the boats in Saturday’s fatal crash in the Mazaruni River may not have had any lights. The bodies of two speedboat captains, who died after their boats collided in the Mazaruni River, have since been recovered. Captains Roy Roopnarine, 46, a father of three, of Itaballi and Trevor Persaud, 27, died in the collision, while two passengers who were travelling with Roopnarine were rescued. Among the injured was Cleon Fortune, who sustained head injuries and was treated at the Bartica Hospital, before being discharged. According to a police statement, the two boats collided on Saturday evening on the Mazaruni River and the four men were thrown overboard. It added that around 7am on Monday, the bodies of the two men were recovered in the vicinity of Bradford Point, Mazaruni River. Viola Ramraj, Roopnarine’s wife, yesterday recalled that she was attending her daughter’s Christmas concert at Timehri when she received a call from a relative, who informed her of the tragedy. Ramraj learnt that her husband was heading with the passengers to Bartica around 8pm on Saturday when he collided with the boat captained by Persaud. The woman noted that she was told that Persaud’s boat had no lights, which may have been why Roopnarine failed to see it approaching. Ramraj also said she was told Persaud was sitting on the bow of his boat at the time of the collision, which caused him to pitch overboard. 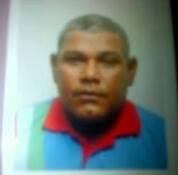 Roopnarine, she added, reportedly fell and hit his forehead before falling into the river when the collision occurred. Stabroek News was told that neither of the captains was wearing a life jacket at the time.